Gulf Craft bolsters its growing presence in Europe with the debut of two Majesty superyachts. At Cannes Yachting Festival, visitors to the show at French Riviera, Port Vieux, caught the display of Gulf Craft’s two 2018 models, the Majesty 125 christened as Altavita and Majesty 100 christened as Svetlana. Balanced by a striking bow, stylish triple decks and distinctive exterior, Altavita features an excellent use of outdoor spaces with entertainment and lounging areas both fore and aft. An ode to his wife, the owner of Svetlana named the Majesty 100 after her, and yet found a way to express his refined taste and aesthetic appeal. 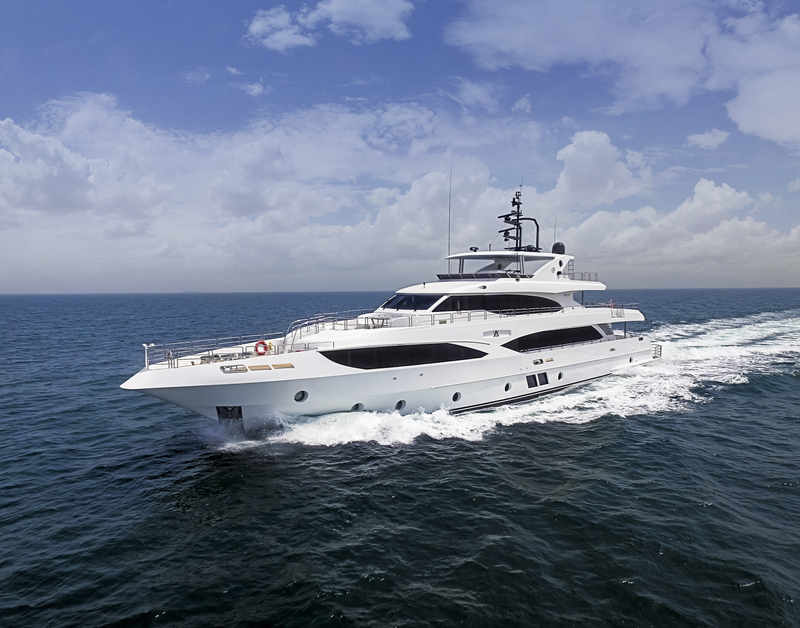 Svetlana features a semi-displacement grp hull and grp superstructure, with teak decks. 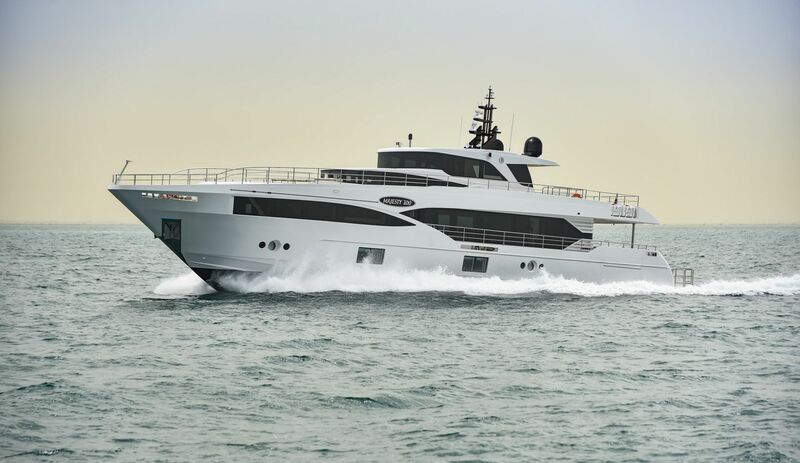 Gulf Craft, along with Aurora Yachts its exclusive Majesty Yachts dealer for France, presented its two superyachts, as it looks to strengthen its position in Europe. To do this Gulf Craft is refocusing, fuelled by a three-point strategy that redefines three key development areas. Firstly, Gulf Craft will look to manage its brands as an individual unit, with its own direct line of accountability and utilisation of resources based on individual business plans and growth objectives. Second is optimising the budget to maximise the return on investment, refreshing each of the brands via an accelerated product lifecycle management. And finally, Gulf Craft aims to structure itself as a ‘learning organisation’, so that it continues to attract and retain the best talent possible to achieve and sustain highest standards of quality. “I firmly believe the future of any business is not driven by what you did yesterday but what you are doing today,”said Gregory Yeakle, CEO of Gulf Craft.